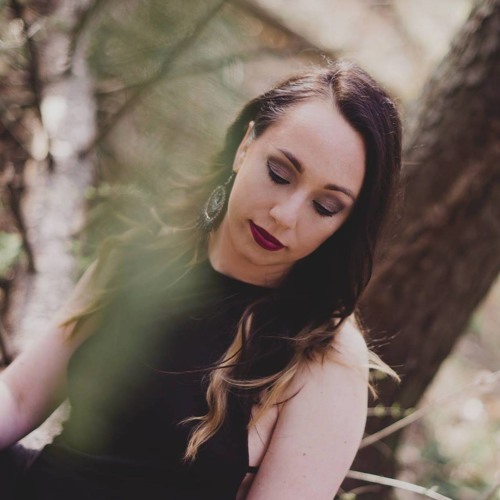 Rasplyn is the solo project of Carolyn O’Neill who uses her experience with classical composition, and as a Clairvoyant Reader and Energy Healer, to create mystical and visual landscapes with her music. Carolyn is a Chicago native who grew up playing the clarinet and organ. After playing in her high school orchestra for four years, she went on to receive her degree in Music Composition from Columbia College Chicago. Her style is dark and cinematic, bearing moments of writhing intensity and flowing release among beautifully textured layers influenced by world culture and mysterious natural forces. Her debut album, 'Scenes Through the Magic Eye', was released Nov. 30th, 2014 via Mythical Records. Carolyn also played the bass guitar in a doom metal band called Quadrillion and has collaborated with Industrial/Ambient/Drone artist JOHN 3:16 of Alrealon Musique, Switzerland. She co-wrote and played clarinet on ‘Abyss of Hell/Clouds of Fire’ which appeared on his 2012 release, ‘Visions of the Hereafter - Visions of Heaven, Hell and Purgatory’ and on ‘Yetzer Ra/Derech Hashem’ which was released on her ‘Priestess of the Goddess’ single on September 2nd, 2013. Her collaborations with JOHN 3:16 mix his guitars and beats with layers of her clarinet and vocals to create ambient drone pieces laced with sacred stillness. She has also collaborated with Finnish experimental artist & "Holy Man", Utu Lautturi, on 'Among the Stars' off of her debut album and 'Tea' off of his album 'Nielu', via Pale Noir, creating very earthy, yet other-wordly, tribal tracks that passionately conjure the darkness within. Rasplyn also contributed clarinet to the mournful track, 'My Sisters', off of Lykanthea's debut album 'Migration'. Carolyn co-founded and directed the Logan Square New Music Ensemble with long time friend and composer Matthew Mehawich from 2011 through 2013. The LSNME was a grass-roots chamber group who performed music written by local contemporary composers in Chicago. Carolyn also composed and played clarinet for the ensemble. On occasion, Carolyn composes for short films and video projects that have ranged from safari videos, to documentaries, and from Asian themed video game projects to fantasy. She composed music and supervised music production for 'Everything Tastes Better', which won the 2010 Chicago 48 Hr. Film Project for Best Film, Best Music, and 8 other awards. In 2011 she composed the score for 'Lighter Lightness', a short film produced by Resolution Digital Studios with direction by Mitch Apley, and in 2014 she won the award for Best Musical Score at the Chicago 48 Hr. Film Project, for the second time, with R Underground's entry 'Faces'. By day, Carolyn is the Production Business Affairs Manager for Resolution Digital Studios, a full-service video production studio in Chicago and she also teaches in the Astral Body Training Program at InVision: A School for Psychics where she gives Clairvoyant Readings and Energy Healings.